We battle the Devil. The Devil, also called Satan, was an elite angel who rebelled against God, seeking to steal His glory and usurp His authority. He became the commander-in-chief of a war against God so God cast him out of heaven with a minority of angels now known as demons. 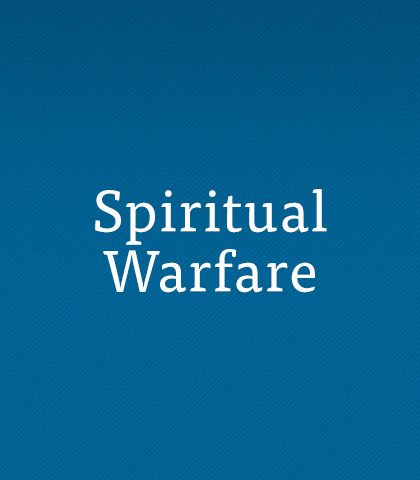 Satan and his demons operate by deceiving us, seducing us, blinding us, accusing us, and seeking to influence us in such a way as to defeat us and thereby rob God of His glory (Ephesians 6:12). To be victorious we need four ingredients. The world system is at odds with God because Satan nurtures it. It’s a system designed to give us pleasure and distract us from God. Since heaven will be our ultimate destination, we need to spend less time complaining about our struggles and trials on earth, where we temporarily live, and more time learning as much as possible about heaven, where we will live forever. The Devil Memorizes Scripture, Do You? Using the Word of God for sinful ends is nothing new. Would it surprise you to learn that our enemy Satan has memorized Scripture and uses it to tempt us to sin? We're not short on desire to do good, but when it comes to pulling it off, why do we keep blowing it? Paul answered this question in Romans 7. Courage is just another word for inner strength. God’s Medal of Honour winners are made in secret, because our most courageous acts occur down deep inside, away from the view of the general public. That takes courage. It takes a strong resolve.